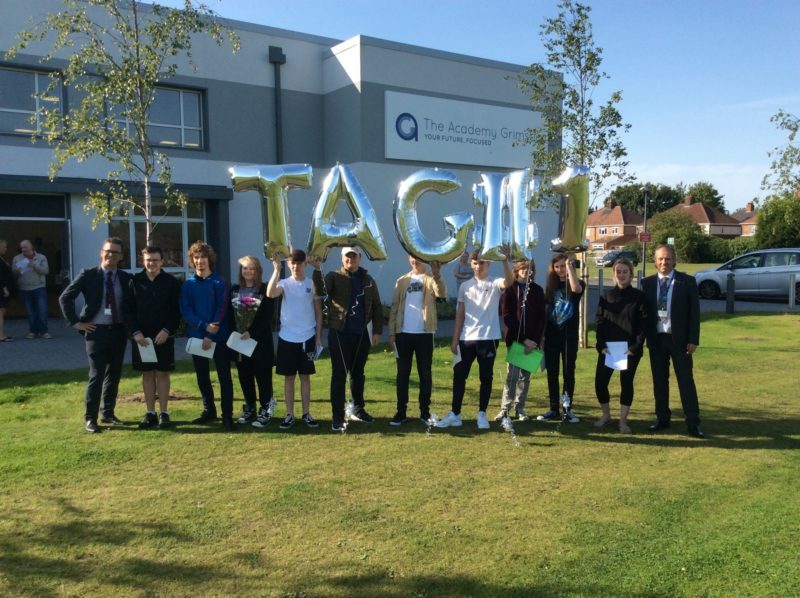 The Academy Grimsby (TAG) are celebrating as their work-related pathways combined with GCSEs proves once again to be a huge success. With 60% of students gaining good quality GCSEs in English and maths, and with the numbers achieving above benchmark grades improving significantly on 2016. All students at TAG follow a career orientated curriculum and 100% of students passed these important work-related qualifications. 80% of students achieved a merit or higher grade with 25% achieving the very top grade of distinction star. The BTEC pathway, combined with the national curriculum helps prepare TAG students for further education and careers. “These results prove our commitment to offering a vibrant and meaningful learning environment for everybody. By linking academic and vocational education we are giving young people more opportunities for their future. TAG which was recognised by Ofsted as outstanding earlier this year is the highest performing 14-16 direct entry provisional cross all colleges in England. Today’s results reinforce this position. “This is our second set of GCSE results at TAG and these results are a testament to their hard work. We set out to build a 14-16 academy that would prepare students for key industries and I am very pleased that we are achieving this goal. Our students will now progress to further education to continue their journey with the best possible foundation. “I would like to thank the students, their parents and carers for choosing TAG and wish them the very best for the next stage of their learning. It has been an absolute pleasure to see how they have grown and developed. They are a credit to their parents, carers and TAG.